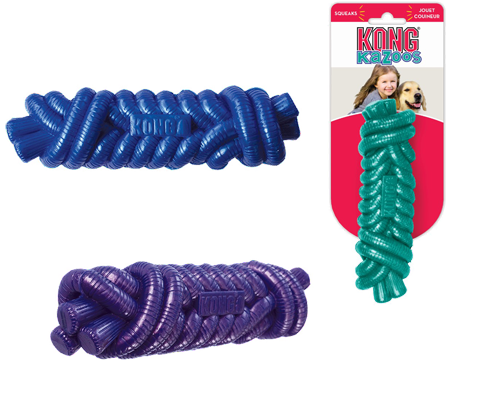 The KONG Kazoo contains a low tone squeaker that helps keep your dog captivated whilst playing. The super-bouncy material and unique shape give it a playful bounce that keeps games of fetch exciting and also helps encourage healthy, active play. Thick walls for durability ensuring long-lasting fun.